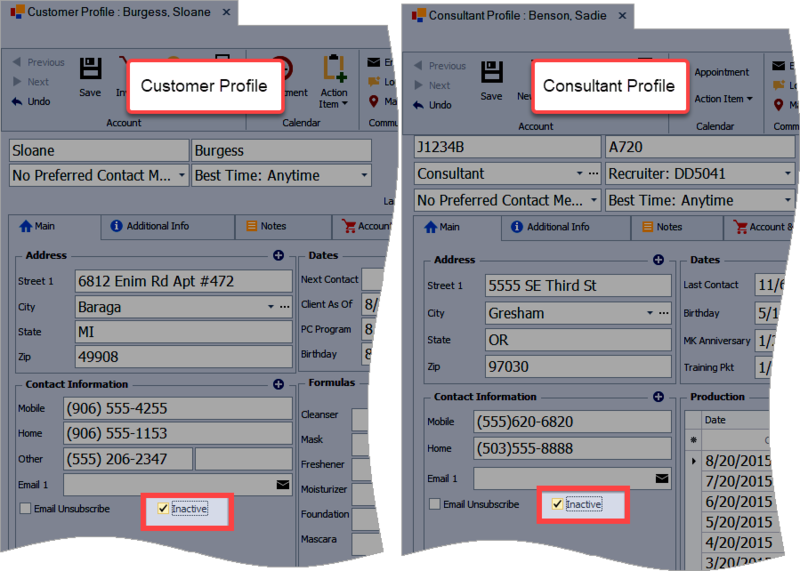 See Mark Multiple Customers Inactive to set multiple customer profiles inactive at one time, or Find or Search for a Contact, if you cannot locate them in your software. 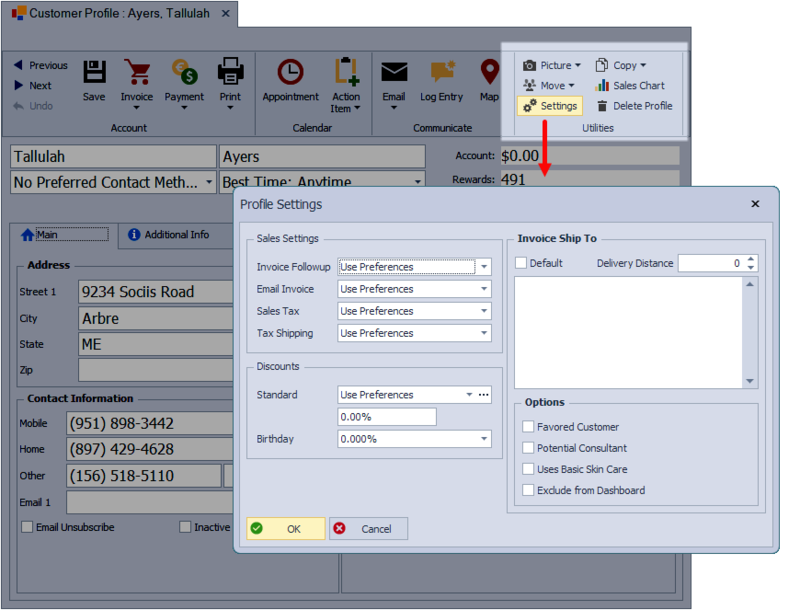 Open the customer list (or unit list), and open the the contact's profile. From the Main tab on their profile under the Contact Information section, select the Inactive check box. Click to save and close the profile. From the profile tool bar click on the button. Under the Options section, choose from the following options: Uses Basic Skin Care, Potential Consultant, Favored Customer, or Exclude from Dashboard. From the Filter side bar on Customer List, under the Inactive Customers drop-down list, choose No.